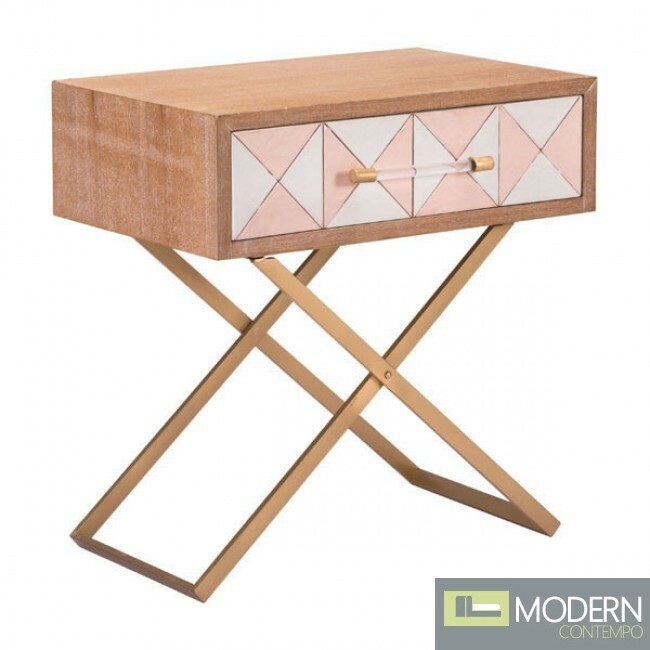 This petite modern end table makes a statement with its bold pattern and mix of material and color. A sturdy X frame in steel supports a wooden drawer box with a painted diamond pattern. A luxe lucite drawer pull tops it off in contrasting style.